A view along Blackfell Top, at the northern end of Great Whernside. 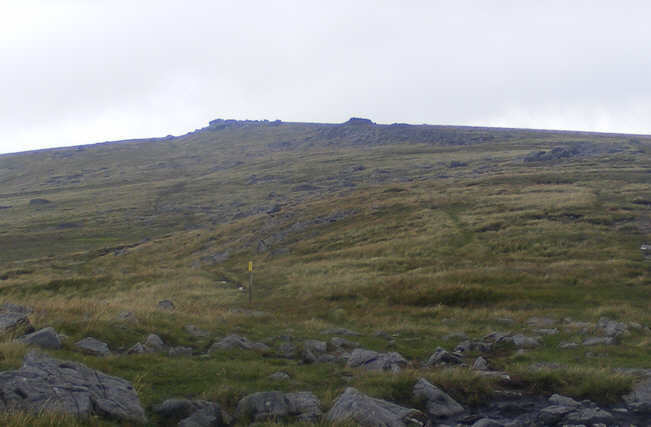 The yellow-topped post marks the point at which the path that drops down the western side of the fell splits from the path along the ridge. Blackfell Crags is visible at the end of the ridge.